Cordon Bleu™ is part of the multi-award winning Summer Spice™ Hardy Hibiscus collection. In early Summer, Cordon Bleu™ has large flowers with simmering, blue blooms and a dark merlot center that attracts pollinators of all types. 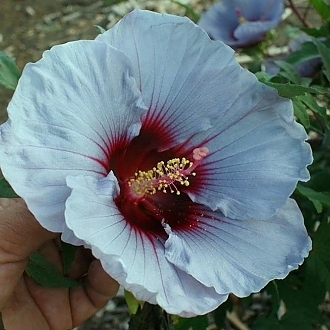 It has a natural, well-kept, compact habit with dark green foliage and the flowers continue to bloom until first frost. 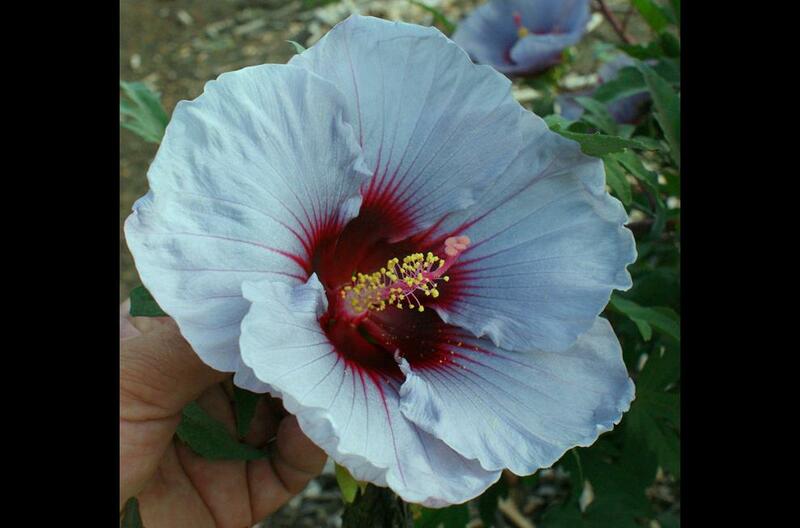 This easy to maintain hardy hibiscus is heat tolerant and will come back from the ground each spring! The Summer Spice™ Hardy Hibiscus collection is a breakthrough in breeding that features all new, never-before seen bloom colors.